Even grown-ups can make a mess! 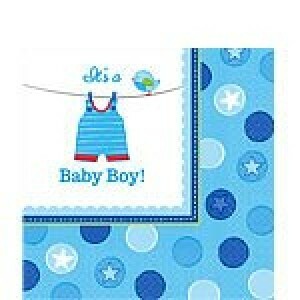 'Baby Boy Clothes Line' Baby Shower Lunch Napkins feature blue and white spots and baby overalls hanging on a clothesline. Make sure you have these large blue baby shower napkins on hand for party guests!